When I arrive at the Silver Lake home of Mara Roszak, celebrity hairstylist and co-founder of Mare Salon, she greets me with a platter of freshly delivered tacos. 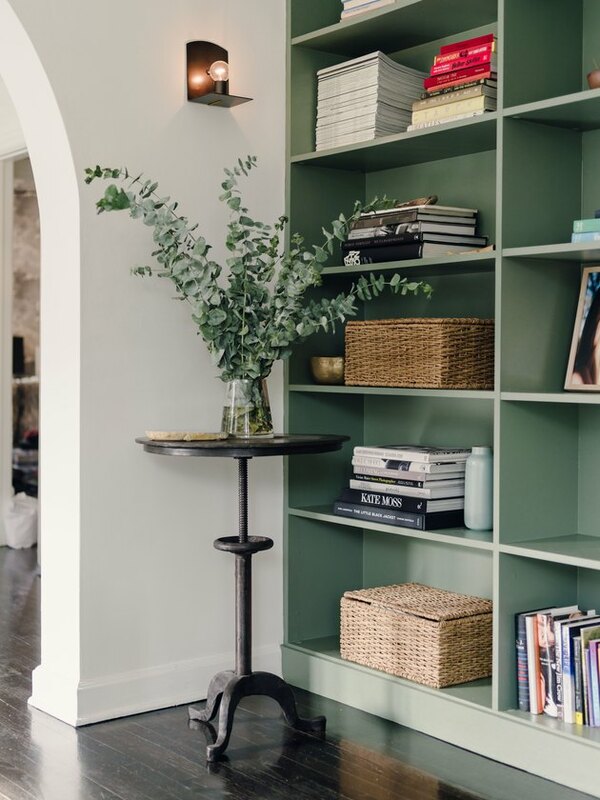 Her longtime friend and interior designer Jillian Kliewer is busy arranging the bookshelf to her left and Mara's husband, Taylor, is holding their French bulldog Mark Silverstein in his arms like a baby. There's a mood to the space; a kind of alchemy that happens here — it's the feeling that anyone could drop by at any time, slink into a chair and catch their breath, maybe even stay the night. Mara and Taylor were intentional both with the design and architecture of the space to serve that exact purpose. In the last few years, it's become a central gathering place for friends and family. "I always wanted to share the house with friends because it's brought me so much joy," Mara says. Mara credits her husband Taylor, a musician and songwriter, for cultivating the communal atmosphere. "He's been such an incredible influence because I've always wanted to have an open-door policy," she says. "We've had so many amazing parties and hangouts because of that." 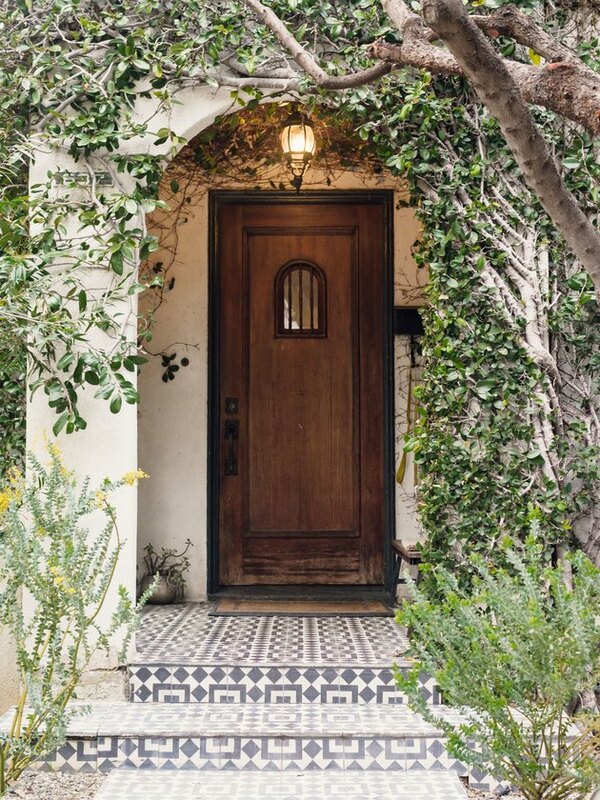 The gorgeous two-bedroom, Spanish-style home has amassed something of a mythology around it; anyone who spends time here leaves with a memory, marking the space with their own histories, imbuing it with their own stories. It's no wonder Mara feels so grounded here, she's spent the last 15 years building a hugely successful career as one of the most coveted professional hair stylists in Hollywood, working with the likes of Zoe Saldana, Brie Larson, and others. Her job requires near-constant travel, sometimes for weeks at a time, so her home has served as her respite; a place to recalibrate. She mentions leaving for Paris and Shanghai the following day to work with longtime clients Emma Stone and Cara Delevingne in passing, as if it were just a quick jaunt around the earth. The ease with which she tells me this suggests that her inner sense of calm and generous presence are both hard-won; the result of years of practice and hard work honing her talents as an artist and a professional. "I travel a lot but I wouldn't consider myself a traveler, I like to be home as much as I can be. My home internally inspires me the most, just being in there and walking through the door. Aesthetics have always been important to me, I've always loved beautiful things." 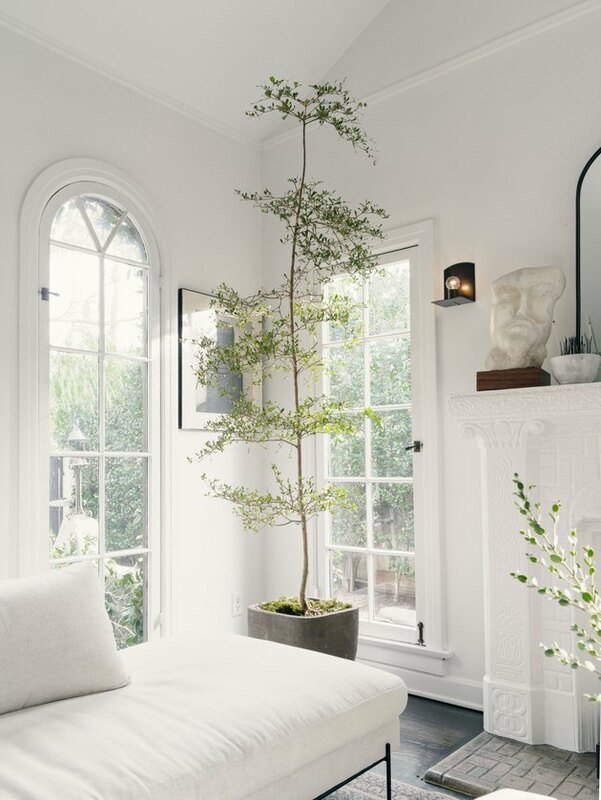 She applied that same design sensibility to Mare Salon, a West Hollywood salon she co-founded three years ago. As field research, she'd visit various salons as a client, observing the way it made her feel and "just to have the experience of what it's like to be a client in a space, and it was often really intimidating, even for me! I really wanted to have really friendly front desk people so that you immediately walked into this beautiful space and felt good about the experience." To achieve this, Mara worked with architect Richard Petit, who is "so incredibly talented and really found a way to maximize it," she says. "We tore it down to the studs and rebuilt it new. Again, that was really Richard's vision and I loved everything he did." 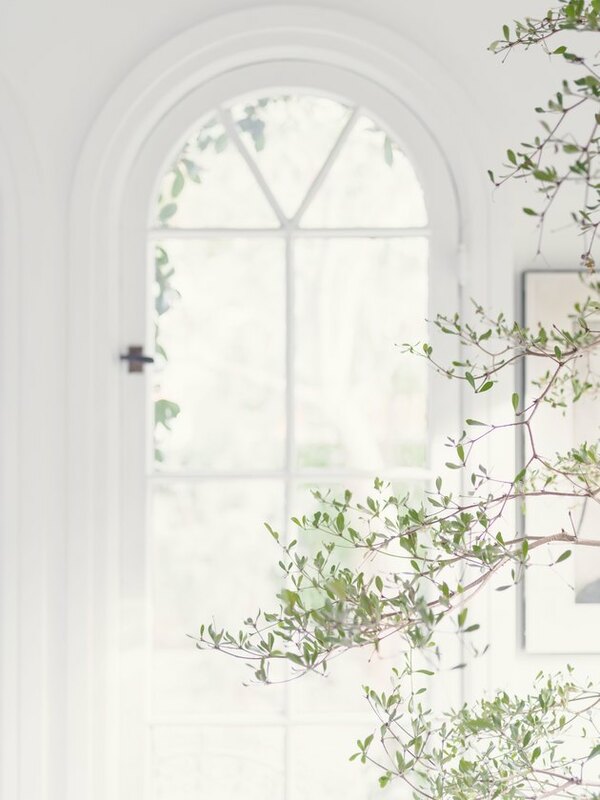 As a natural host and purveyor of beautiful objects, Mara's home is a full sensory experience — fresh bundles of flowers bathe the air with floral scents, evoking childhood memories of growing up in Laurel Canyon. "There's nothing like being outside and smelling wet grass and flowers. I have really strong memories of being 10 and just wandering through the forest behind my house and encountering a deer, it just felt like you were really in nature. I remember jasmine in the springtime when it started to bloom, just getting that whiff!" She gets her flowers from different places, like the flower mart in downtown's flower district or at Wholesale Flowers on her way home from the salon. 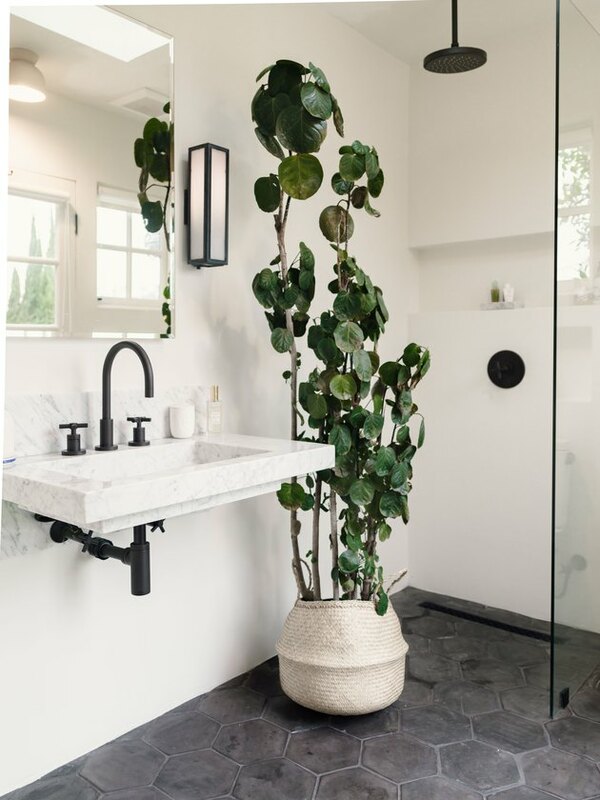 One of her favorites is eucalyptus; she has one in the front yard called a silver dollar, their matte leaves look like watercolor blots. 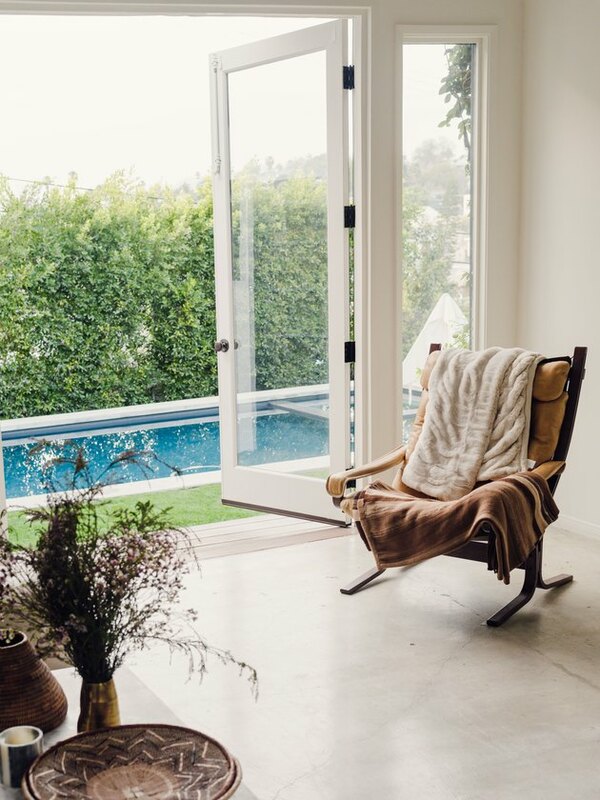 In a way, her Silver Lake home is her opportunity to reclaim what a home can be; her family moved into a new house every few years and that made her childhood feel transitory, more ephemeral. She has trouble remembering her childhood bedrooms. In contrast, the objects in her house are artful, high quality, and built to last. "Everything in here is so important because they fill this place that I never really felt like I got to have." While each object in her home holds sentimental value, her most prized possession is the sculpture on her mantle that her mother created before she was born. Her mother started sculpting in the '70s in New York City while baking and delivering baked goods out of her apartment. On a delivery, she wandered past a sculpture in a woman's apartment and was transfixed by it. Soon after she began sculpting with stone under acclaimed sculptor Chaim Gross. Once Mara was born and the family moved to Los Angeles, she stopped sculpting, "but I grew up with all her pieces around, like, they would always be in all of the houses we lived in, so I told her the one thing I would love at some point is to own a piece and have it at the house." I asked Mara how it made her mother feel to have her work so prominently displayed, "Oh she loves it so much, she's so proud and now she has them displayed for the first time ever. She had a stand made for me and really polished it and cleaned it up, and it's really my favorite thing that we have." While the house's structure remains, the interior style has evolved over the seasons of her life. "In terms of the decor, it's definitely evolved; I feel like it's the most grown up it's ever been. I'm the most grown up I've ever been." 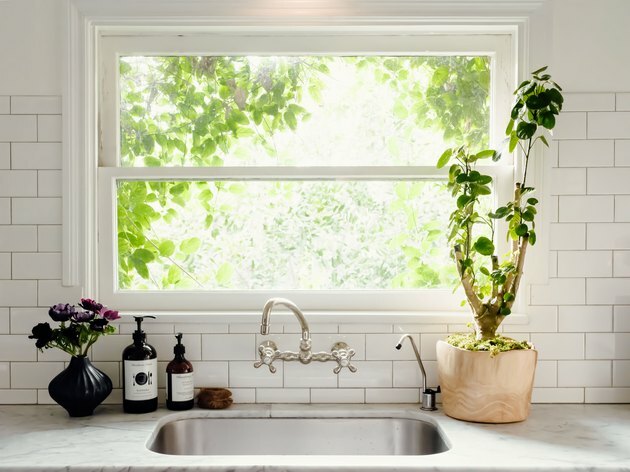 She updated a few things: the kitchen countertops were switched from black and yellow to a cleaner, Carrara marble, a bathroom was added to the kitchen, and the guest house in the backyard was remodeled. She also leveled the yard to put a pool in. 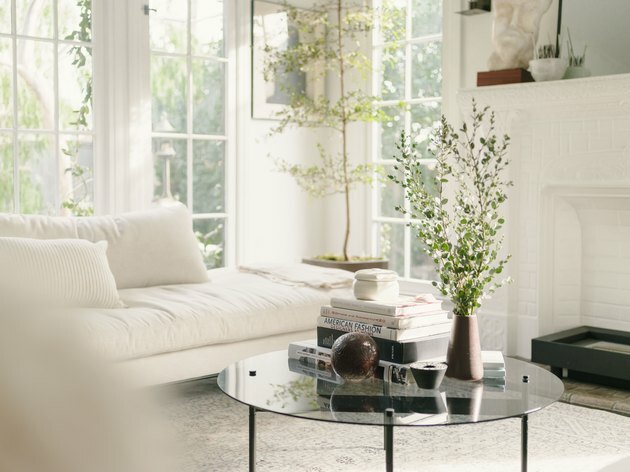 Most recently, she hired her friend, interior designer Jillian Kliewer to give her living room a refresh. "Jillian makes it so easy to communicate with her, it always feels like a collaboration. To some degree you're bringing someone else's energy into it, so really knowing who it is that you're designing for and working with is such a key piece and I feel like she navigates that so well," Mara says. A former design director for The Standard hotel, Jillian now runs her own business designing commercial, residential, and hospitality projects. I asked Jillian what the process was like, according to her, "It came really naturally and easy because I know them so well and I know the space so well already. I know the colors she gravitates towards already." The project started with updating the sofa. "We went with more of a sitting room vibe with the mirroring sofas, which is kind of what they use the space for anyway." They also chose a really durable fabric to withstand any dirt or mud that Mark, the dog, might track in. 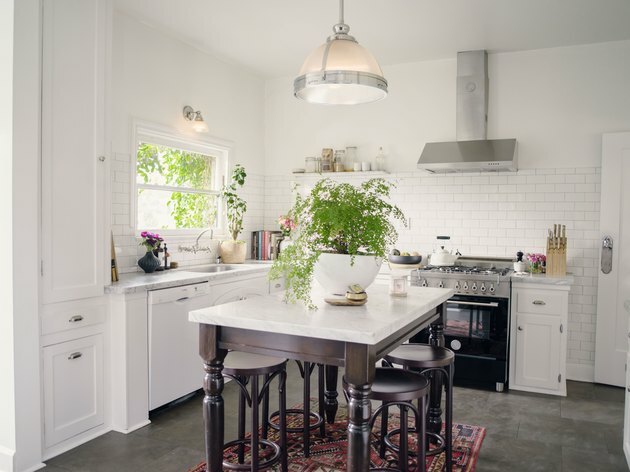 From there, Jillian brought in a mix of masculine and feminine, whites with darker tones. 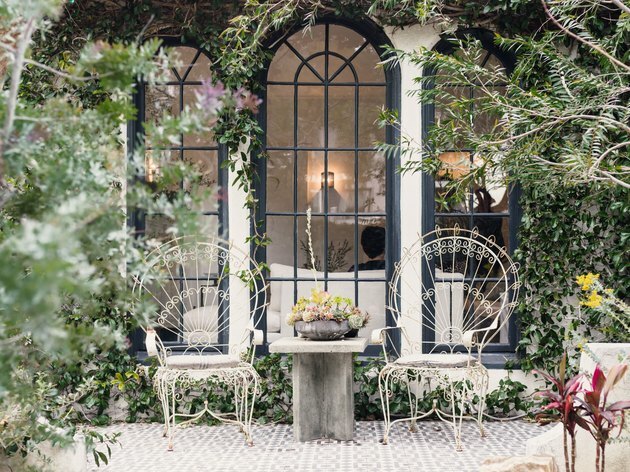 "The black and white really goes with the Spanish style of the house: white walls, dark floors, wrought iron." "We changed out the coffee table and reupholstered the vintage chairs with veg tan leather Mara brought back from Africa." The friends share an appreciation for beauty, craftsmanship, and minimalism. 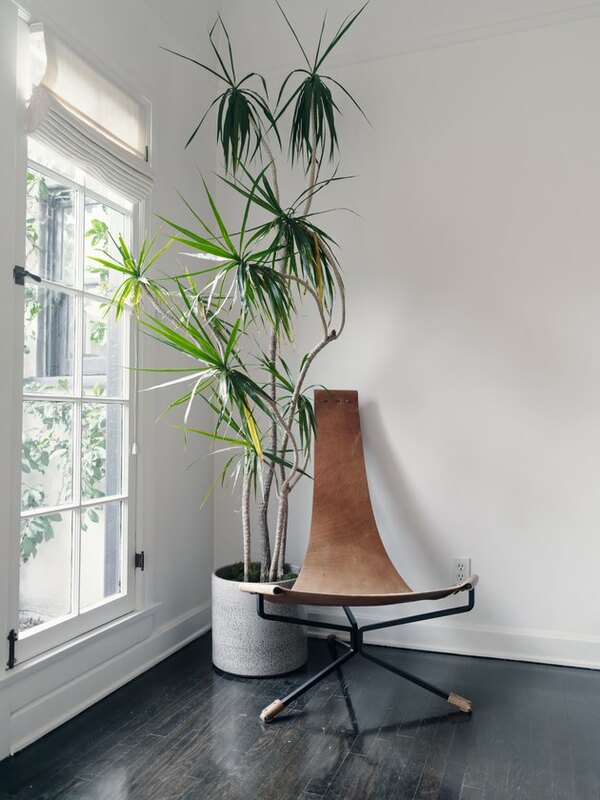 "Natural materials are huge for me. I think from my background of working with materials it just goes back to my appreciation for raw materials, and I've always been amazed by what you can do with that." Jillian says. 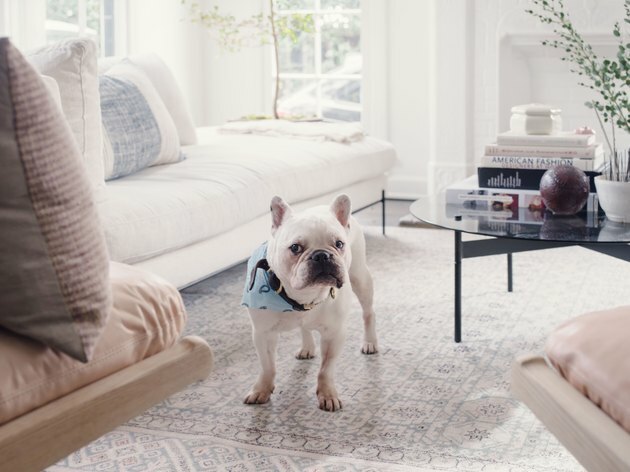 One of the main, unmissable fixtures in the house is Mark, Mara's beloved French bulldog of over 13 years. He represents a small rebellion from the otherwise elegant, serene atmosphere of the space. "He's always been bad or a little aggressive, he doesn't smell great most of the time, he makes a lot of noise. He's always been a pain but I love him so much it's insane," says Mara, who tells me that her husband, Taylor, had a revelation early on that she and Mark were similar in a lot of ways. "I sometimes think, he's both so not me and yet so in me in a way that is so funny."